The online booking portal of Ozhotels features a large number of independently owned and unrelated resorts, serviced apartments and hotels that are ideally positioned in the Queensland holiday destination of Coolangatta on the Gold Coast. Booking your resort or apartment accommodation in Coolangatta directly with the properties listed on Ozhotels allows you to get the best possible discount rate and save money on your next Queensland holiday. The city of Coolangatta is ideally positioned at the southern edge of the Gold Coast on the border with New South Wales and features an entensive variety of different hotels, motels, serviced apartments and resorts where people can stay. In fact there is such a large array of places that it can be quite a daunting and time consuming to find the most appropriate property for your needs. This is where an accommodation expert like OzHotels comes into play because they can can you to compare hundreds of properties located right around Coolangatta in order to find the one for your needs. The advantages of booking online with OzHotels is not only that you can book a long time in advance but also you will get an extra discount off the already cheap rates the longer that you stay at a particular property. So save yourself time and money by booking your next business trip or holiday to Coolangatta directly with OzHotels, the accommodation experts. With its magical location overlooking one of the Gold Coast's most beautiful patrolled beaches at Coolangatta, luxury fully self contained apartment accommodation and friendly customer service the Oaks Calypso Plaza Coolangatta is one of the Gold Coast's finest resorts. The superb recreational facilities at the Oaks Calypso Plaza Resort on the Gold Coast cater for all and include a sensational lagoon style swimming pool, separate wading pool & dual waterslides for the kids to enjoy and a tropical surrounding which is ideal for relaxing and soaking up the Queensland sun. Other recreational facilities at this luxury Coolangatta accommodation include a fully equipped gymnasium, spa, sauna and games room. When you stay at the Oaks Calypso Plaza Apartments for your next family holiday your can enjoy the resorts own restaurant and bar or step outside to Coolangatta's cosmopolitan restaurants, cafes and shops, which surround the resort. 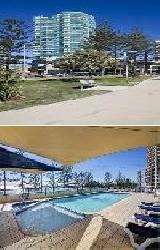 For more Coolangatta Apartments click here. The Komune Resort and Beach Club Greenmount Beach is in one of the most prized position on all on the Gold Coast, close to some of Australia's best surf breaks and with views over Greenmount, Kirra, the Tweed Boat Harbor and back to Surfers Paradise. Families and couples on holidayes will ejoy the location fronting world-class surf, fun-loving environment and friendly community spirited atmosphere at the Komune Resort. This Coolangatta accommodation provides a variety of stylish 1 and 2 bedroom luxury apartments and penthouses to suit all budgets. The Komune Resort Gold Coast further offers fantastic resort facilities including free internet, fully equipped cinema, BBQ facilities, Bar, landscaped gardens, outdoor heated swimming pool, games room, pool bar, spa, Jacuzzi, sauna, direct beach access, restaurant, cafe, guest laundry, security, tour desk, airport shuttle and free on street car parking. The Bay Apartments offer 2 & 3 bedroom self contained serviced apartments & penthouses, fantastically located only 100 metres to the pristine surf patrolled Rainbow Bay Beach. The Bay Apartments in Coolangatta provides the best value quality accommodation ideally situated within walking distance to Rainbow Bay Beach, Clubs, Restaurants and Coolangatta & Tweed Heads shopping centre. The Bay Apartments in Coolangatta is close to everything that the Gold Coast has to offer, as well as having a numerous guests facilities and services including direct internet access, faxing facilities, free car parking, guest laundry, spa, outdoor swimming pool, tour desk, bbq, garden and baby cots available. 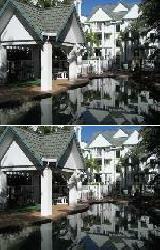 The Bay Apartments is only a short stroll from sundrenched beaches, first class restaurants, shopping and golf courses. The Bella Mare Beachside Resort has a spacious apartment to suit the occasion including 1, 2 & 3 bedroom fully self contained apartments. This Coolangatta accommodation resort is a Mediterranean style complex conveniently located just 50 metres from picturesque Greenmount and Coolangatta Beaches and a short stroll to the restaurants, clubs and shops. The ever popular Rainbow Bay beach is also within easy walking distance from the Bella Mare Beachside Apartments. Buses to Surfers Paradise and the major Gold Coast tourist attractions depart from right outside the door and the friendly tour desk can help to organise all of your tours needs for you. All apartments and villas are set in tropical gardens with patios or balconies with views towards either the gardens or the Tweed River. 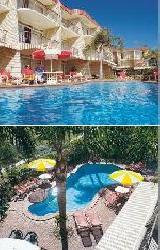 The whole family can enjoy the pool, heated spa, sauna, gym or poolside BBQ at this discount Coolangatta accommodation. Budget conscious holiday travellers and families with really appreciate the very affordable accommodation this is on affer at the Bombora Resort Coolangatta. The property provides a range of comfortable hotel rooms as well as fully self contained 3 bedroom serviced apartments that have everything that you need to enjoy your stay on the Gold Coast. 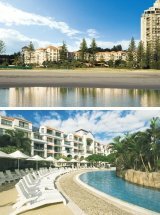 The Bombora Resort is located on beautiful Goodwin Park, which is only 5 minutes stroll from to the white sands of Coolangatta beach and the main shopping and restaurant precinct of Coolangatta. 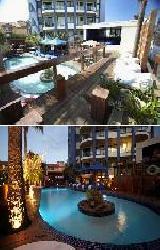 The Bombora Resort provides all types of travellers with discount accommodation in Coolangatta. It also features a wide range of modern amenities and services such as free car parking, guest laundry, restaurant, outdoor swimming pool, secretarial services, faxing facilities, photocopying services, tour desk, landscaped garden and baby cots available for hire. 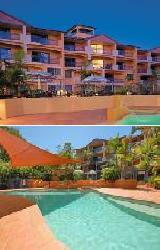 The Points North Apartments are located in the heart of Coolangatta on the Queensland's world famous Gold Coast. The Points North Apartemnts offers luxury fully self contained one, two and three bedroom apartments as well as a luxury penthouse apartments which cater for the family market or those visitors wanting to enjoy a longer stay in spacious surroundings. Each of these Gold Coast apartments features spacious balconies with most offering stunning ocean views. The Points North Resort features a choice of recreational facilities including heated swimming pool & spa, children's wading pool, full size tennis court, games room and a choice of restaurants located right at your doorstep. Kirra Beach Luxury Apartments are located directly opposite the beautiful Kirra Beach which is famous for it's surf breaks, crystal clear water and pure white sands. Kirra Beach forms part of the spectacular southern tip of the Gold Coast with it's rocky headlands, fabulous beaches and plenty of parks and walkways for guests to enjoy. The Beautiful Kirra Beach Luxury Apartments are brand new, fully self contained apartments set amongst tropically landscaped grounds. 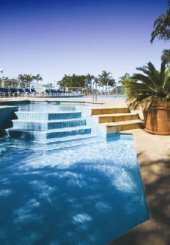 This Coolangatta accommodation resort also features a lap style swimming pool, spa and guest BBQ area for added convenience. 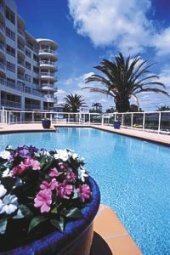 The Ocean Plaza Resort is superbly located right in the heart of Coolangatta on the Queensland Gold Coast. 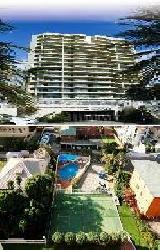 Overlooking the beautiful beach below the Ocean Plaza Apartments is one of Coolangatta's landmark high rise buildings. This Coolangatta accommodation offers guests the choice of luxury self contained two and three bedroom apartments which cater to the family market or visitors wanting to enjoy a longer stay in spacious surroundings. Each of these Coolangatta apartments features a spacious balcony with stunning ocean views. The Ocean Plaza Resort also features a choice of recreational facilities including heated swimming pool & spa, children's wading pool, 2 full size tennis courts, games room, gymnasium, golf driving nets and a choice of restaurants located right at your doorstep. The Rainbow Commodore Apartments is the ideal Coolangatta accommodation for that relaxing beach holiday, with it's easy access to all that the Gold Coast has on offer. It is situated just 100 metres from the beautiful patrolled beach of Rainbow Bay, one of Queensland's most alluring and safest swimming beaches. The Rainbow Commodore Apartments is also just a 5 minute walk to the Twin Towns International Club and within easy reach of restaurants and activities. This exceptional Coolangatta accommodation provides modern 1 & 2 bedroom self contained apartments, all complete with panoramic views of the ocean and city skyline. The makes the Rainbow Commodore Apartments in Coolangatta perfect for families and small groups who are looking for a memorable Queensland holiday. The Rainbow Commodore Apartments offers a range of resort facilities and services including landscaped gardens, BBQ facilities and entertaining area, an outdoor swimming pool, heated spa and sauna, half sized tennis court, games room and tour booking office.